These are a handful of global health Seattleites I’ve personally met: at their lectures, in their classes/seminars, in my volunteer work. They are extraordinarily approachable, and that’s why I mention my encounters with them here–not to namedrop, but so you’ll be bold in approaching them, too. Other Seattle global health giants I’ve not yet met are described here. DR. WILLIAM FOEGE, senior fellow at the Bill & Melinda Gates Foundation. Dr. Foege is renown for leading a world-wide campaign to eradicate smallpox, much of it recounted in his riveting book, “House on Fire: The Fight to Eradicate Smallpox.” For his legendary work, in April 2012 Dr. Foege was awarded the Presidential Medal of Freedom— our nation’s highest civilian honor. I met Dr. Foege at a 2011 global health forum; he graciously spent time with me discussing dramatic differences in before-and-after maps of Africa’s smallpox campaign (pp. 179-80) in his newly published book. At this forum, did keynote speaker Dr. Foege lecture on his swash-buckling adventures in quest of eradicating smallpox from the planet? No. Dr. Foege talked about…. kindness. Yes, kindness. 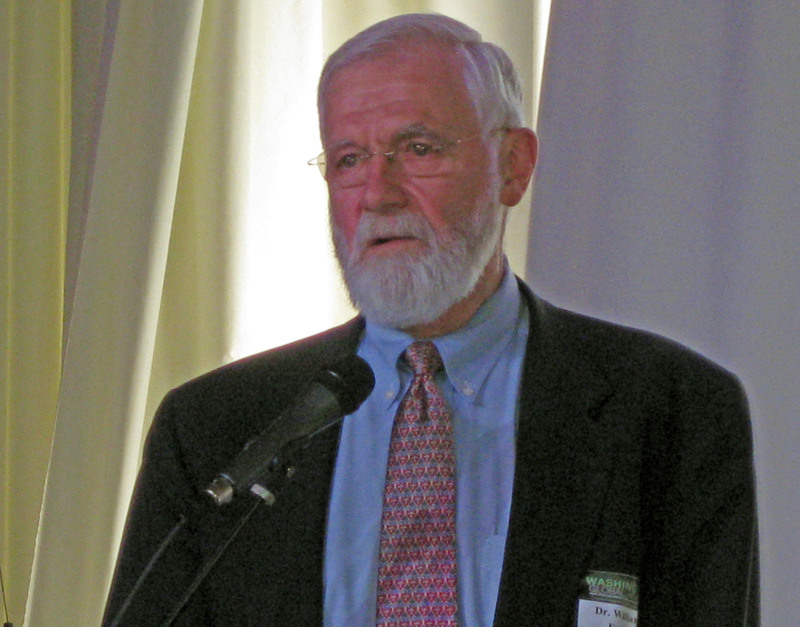 H-u-m-b-l-e.
DR. KING HOLMES, first William H. Foege Chair of Global Health at the University of Washington. [Thus the logic in listing Dr. Holmes after Dr. Foege himself.] 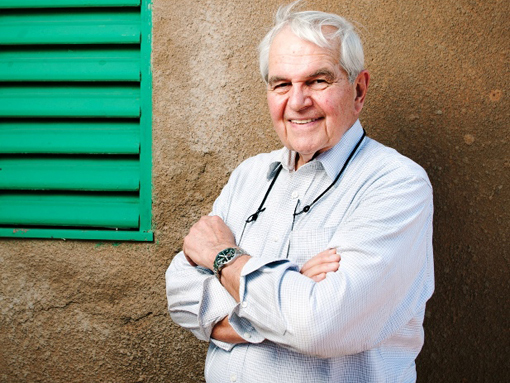 He is truly a global health pioneer, especially in infectious diseases. We’ve talked at a fundraiser and after UW global health seminars, most often about the SCOPE project in Ethiopia that Dr. Holmes helped spearhead, or the culturally cutting-edge Ethnomed program at Harborview Medical Center, where Dr. Holmes heads the Infectious Disease Section. Dr. Holmes has written more than 750 articles and 30 books, and mentored more than 100 scientists – so far. RICH MAHONEY – co-founder of PATH, and DR. MICHAEL J. FREE – PATH vice president, were gracious and lively when [by complete serendipity] I was seated between them at a board directors’ dinner in 2011. For two hours we discussed PATH’s beginnings; their refusal to be stymied by setbacks; and their deep personal pride in growing this organization. Over dessert they quizzed me on DNA vaccines, which led to a discussion on PATH’s dedication to vaccines. DR. MARC LAFORCE, director of the Meningitis Vaccine Project at PATH. He developed the world’s first conjugate meningitis vaccine for Africa; more than 250 million on that continent are expected to receive this vaccine. I met Dr. LaForce at a 2011 dinner celebrating this PATH breakthrough; his enthusiasm for this vaccine was contagious! In May 2012 Dr. LaForce was awarded the Sabin Gold Medal Award for his groundbreaking work. LISA COHEN, executive director of the Washington Global Health Alliance (WGHA), which she founded after an award-winning career in TV news. Cohen and WGHA support and advocate global health efforts in Washington State by bringing together businesses; academic, political, and civic leaders; and–especially–young people to learn about global health, and to then address and act upon those global health issues. Lisa and I once worked together at KIRO-TV, and our global-health paths have crossed several times. DAVID M. BRENNER, Seattle lawyer who–with no previous knowledge of global health–felt called to create and lead a multi-faith effort to bring thoughtfulness and strategic cooperation to faith-based programs. 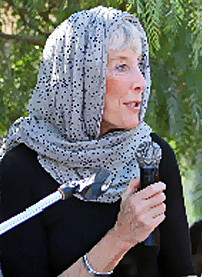 Brenner also is a leader in Global Health Nexus, with major events planned in July 2012 – Global Health Month–such as the intersection of faith and secular partnerships. I’ve talked with him often about his global health initiatives at University Presbyterian Church.